The ProForm Power 995i (PFTL99715) is a solidly-built treadmill with a powerful 3.0 CHP Mach Z commercial plus motor and has plenty of options to keep your workouts varied and progressively challenging. The electric ProForm Power 995i Treadmill offers speeds from 0 to 12 mph and 0-15% incline levels. Both the speeds and inclines can be digitally controlled with quick access keys for convenience. 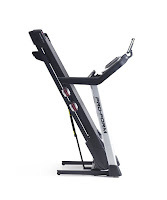 There are plenty of workout options with the ProForm 995i’s 30 preset workout apps. 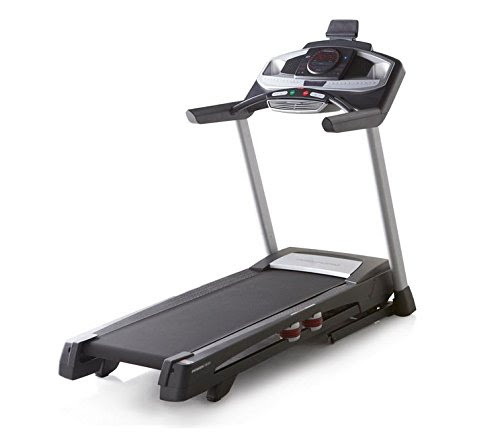 This treadmill is also Bluetooth and iFit enabled (see notes below) for access to an ever-growing library of workout programs, Google Maps routes, fitness tracking and more. The ProForm Power 995i features a generous-sized 20x60” 1-ply commercial treadmill belt with ProShox cushioning that helps to reduce the impact on your joints for a more comfortable workout, whether you’re walking, jogging or running! The ProForm 995i utilizes 2.5” precision machined and balanced non-flex roller for smooth and quiet operation. The ProForm Power 995i’s LED console display helps to keep you motivated as you exercise by showing your workout stats such as time, speed, distance, calories burned, heart-rate (via integrated EKG grip pulse), resistance level, and timer. 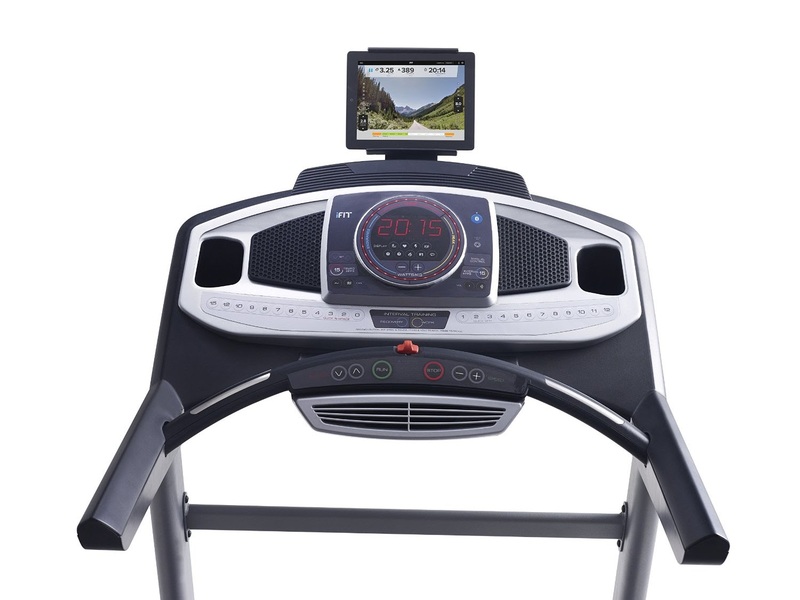 Additional premium features of the ProForm Power 995i Treadmill include a CoolAire workout fan, sound system (2 x 2” speakers) compatible with MP3/iPod, tablet holder, and dual water bottle holders. The ProForm Power 995i Treadmill is constructed with a durable steel frame and features a space-saving EasyLift Assist folding deck design and 2 transportation wheels. This treadmill allows for a user weight capacity of up to 350 lbs. Useful Tip: Just a 30 minute jog on a treadmill could burn approx. 465 calories for women or 566 calories for men, depending on the intensity of the workout. 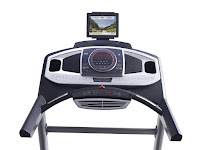 · At time of writing, this is a new version of the ProForm Power 995i Treadmill (version PFTL99715) with Bluetooth functionality and although this treadmill is iFit enabled, the app is waiting to be up-dated to be compatible with the new Bluetooth functionality of this treadmill. So if this feature is important to you, check with the manufacturer before buying to see if the app has been updated to enable this feature to work.